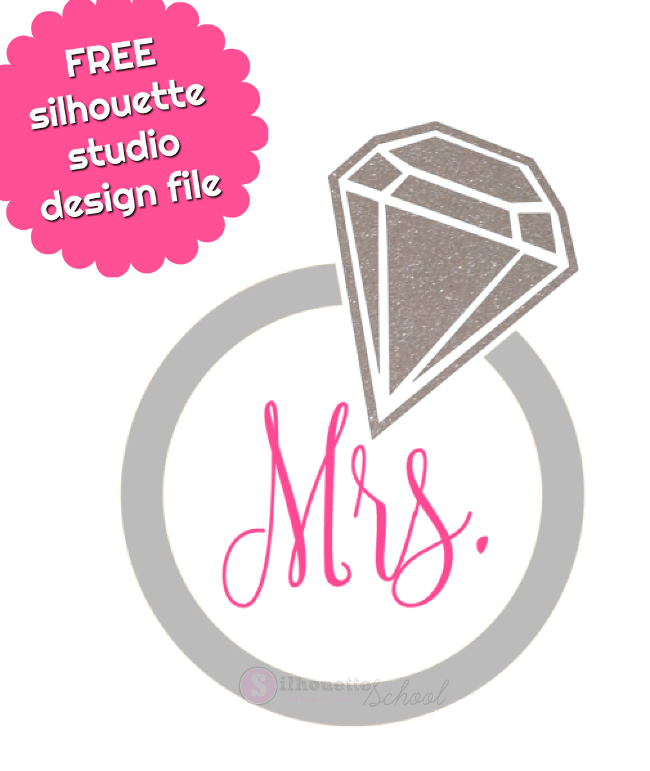 It's Freebie Friday and this week I have a free diamond ring cut file for you. This is my favorite type of free Silhouette design because it just screams for some glitter vinyl or heat transfer vinyl. This could be used for bride shirts, engagement gifts, jewelry dishes, or as part of an invitation to a shower. This design is free for personal use and can be downloaded in Silhouette .Studio format. If you'd like to share, I'd love that. I just ask that you share the link to this blog post and not the direct file or the link to the dropbox. Thanks so much for the Ring Design, I am thinking of making a small satin pouch with the design on it for the Bride to use for the wedding dance. Love this one....thanks so much!